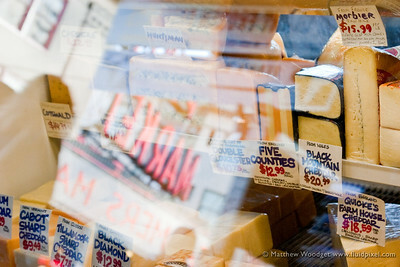 marketing methods | Photography, Storytelling, & Growth Marketing by Matthew Woodget. Flavor and Fuel is a short film about what it takes to do the amazing. It is an exploration of the lives of people who make two very different companies tick. Each company has a different product, business, approach, location, audience, and group of employees. Despite their differences, there are ties that bind and commonalities which are universal. Namely, a journey in which anyone who has pursued something of passion in their life will enjoy. The film’s IMDB entry is here, please watch the film and rate it! The two businesses couldn’t be more different: Lotus F1 Team is a Formula One racing team based at Enstone in Oxfordshire in the United Kingdom while New Belgium Brewing is a craft brewer based in Fort Collins, Colorado in the United States. The former has a brand that inspires sleek and cool with a truly global feel; the latter, warm and textured with a genuinely local vibe. 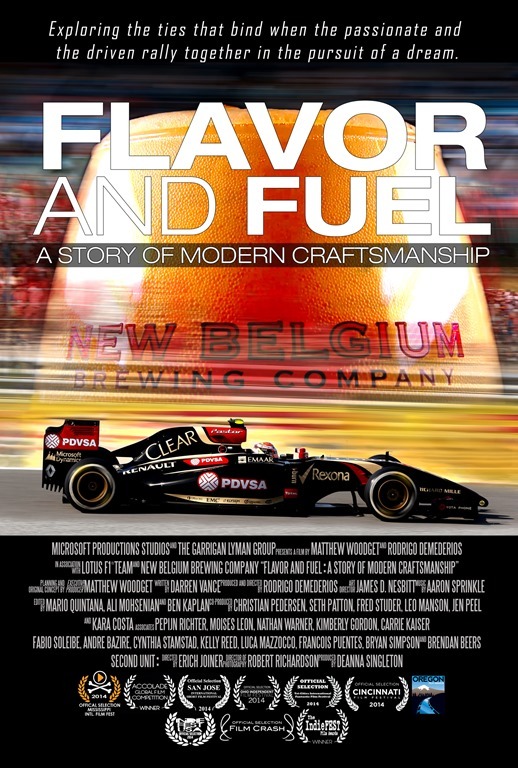 The film follows employees of Lotus F1 Team and New Belgium Brewing as they pursue their passions, overcome challenges, and exhibit sheer tenacity while doing amazing things for their fans. Every human enterprise shares a few key traits. First, there is the essence, the idea, the flavor of the enterprise. What do the people who are so passionately engaged in this pursuit truly care about? It’s this core of an idea that keeps people committed and prepared to pour their heart and soul into something. It’s what attracts other people to a commonly held ideal. Secondly there is the drive, the energy, and the human capital any given person is prepared to sacrifice for an undertaking. This human energy, this fuel is the air that we breathe, the life we invest, and the time we spend doing something we love. The forging of these elements together in the pursuit of goals is the essence of success. So sit back, relax, and enjoy Flavor and Fuel – A Story of Modern Craftsmanship (video link). You probably won’t read this whole blog post. It’s true, CMO.COM recently had a great post on this; distraction. I’ve come to terms with it 🙂 This post will cover a lot of [very important] ground, I promise, so it will be worth it. Without further ado; welcome to the year of Blade Runner (2014). Building sized billboards and all. Maybe it was MTV that messed us up. Maybe it was something else. All I know is that despite my four year olds apparently distracted behavior (I guess I just have to come to terms with the fact that he’s simply not listening to me) he’s actually very focused on what he does. When I try show him a trailer for a movie three out of four times he’s left confused and dumfounded (I’ve probably done it a maximum of four times). Go watch a trailer right now, come back when you are done. It leaves my son feeling uncomfortable, confused, he genuinely doesn’t like the experience. Brash, speeding images, a rapidly sped up narrative. As a father of young children I’m faced with the fact I’m part of a society in which this is par for of the course. Whatever caused it, we need to accept that distraction is paramount. We are bombarded with thousands of marketing messages a day. Research by Huge says 5,000 daily, in urban environments, double what it was three decades ago (as above). That’s just marketing messages. You think you consume all of that? You brain goes into auto pilot, it’s why you often can’t remember you work commute. Our brain is unimaginably complicated and deals with an even more impressive array of ridiculously tiny things each day. It’s good at filtering out the crap and getting us to where we are going. Thankfully it does this with the marketing noise too. That’s my point. It’s NOISE. I turned up the volume on that on purpose 😉 We live in an attention economy, well covered by Jeremy Epstein. We have limited time, focus, bandwidth, hours in the day. When it comes to communicating with our customer are we going to keep fighting this fact? Or are we going to start with a strategy that engages? Whether or not you realize it you have a complex set of filters to deal with all of this noise. The thing is your filters break. What’s that? I hear you cry? My filters break? That brings us full circle to why we need to respect distraction and leads us to how we can deal with it. Jeremy has been banging on about this since at least 2007. CMO.COM blogged about it this summer. At some point this thing is going to reach critical mass, and blow up. Good content needs a good story. It doesn’t have to be 500,000 words long. It doesn’t have to be an NPR series on the creation of a tee shirt in the current global economy (a great story by the way). It can be as simple as effectively conveying a feeling and a sense as can be done in a single photograph that invokes thoughts and ideas that you end up filling in the blanks to complete the tale. It does have to have a character(s), tension, depth, meaning, it must reveal something and needs to have a narrative. Different mechanisms can be employed to convey this. 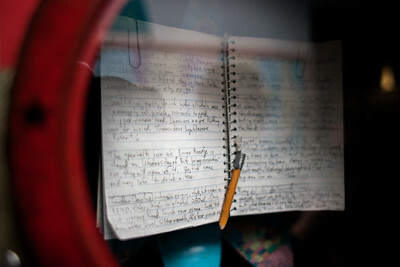 Storytelling is a cornerstone in our ability to get ideas to stick. It is the informational genetic code that enables an idea to survive and be passed on from one generation to the next. It’s why religion, Santa, the boogeyman, organ theft, and love stories all virally spread between and stick with us. Push marketing is dead. Advertising is dead, banner ads on websites, radio ads, billboards, popups that appear before you can load a site, popups that appear as you start reading a site (and by pop up I mean the ones that are ‘in’ the webpage, not the 1999 version of a separate window adding itself to your desktop clutter. Yes, unfortunately those still exist). They are all dead. It’s only a matter of time before the last tombstone in the last graveyard of advertising is set in the ground. Blade Runner I love you but our future will not include those bill boards. There will not need to be. And I disagree with the assertion that it’s not dead, it’s evolving or simply changing. The point here is that push marketing is dead. And that to all intents and purposes the future doesn’t include advertising as we see it today. Marketing is often mischaracterized as being only about promotion, advertising et al. It’s so much more than that, it’s about a deep understanding of the people who might want your product, your product/service, how those things intersect and how you communicate about that. One day there will be no advertising. Not as we know it today. There will be content. Content that you want to consume. That is shared because it has value in and of itself. Content that appears in relevant context to what you are doing and connects you to new things, services, experiences that you probably want. It will be more effective. Less annoying. With the evolution of big data and the internet of things it becomes broadly real sooner than you think. If you are a fan of Stephen Hawking you might enjoy watching Grand Design – The Meaning of Life. Where he covers that all of our choices may well all end up boiling down to a complex predetermination any way. If anyone every figures out a Theory of Everything they can monetize it by selling it as a marketing service. That’s a bad physics joke and I’m aware of how beautifully cynical it sounds, I wouldn’t be surprised to see it covered somewhere by Douglas Adam, Terry Pratchett or Ian M. Banks. It all boils down to is Propaganda vs. Relevance. The crafting of propaganda has existed for as long as humanity itself. I’m told that after practicing law it’s the third oldest profession. Every conflict, war, work related butting of heads uses it as a tool. Its essence is that of one human being trying to convince another so it doesn’t comes across as such. 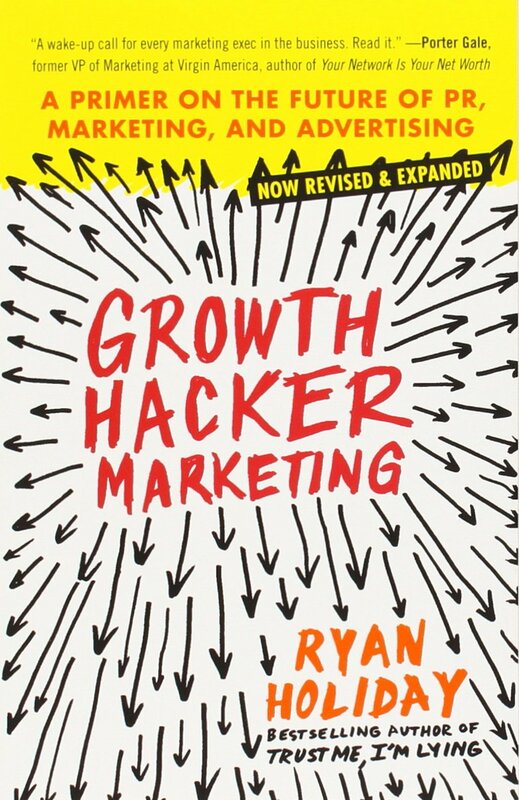 If you are truly relevant and able to convince your customer to do something without them realizing it then you attain that mythic status immortalized by the quote "the greatest trick the devil ever pulled was convincing the world he didn’t exist". As evil as that may sound really it’s all about a respect for your customer, reaching them in a relevant way to connects them with something which they will be care about. Not wasting their time. Not adding to the noise. Putting this into practice takes progressive engagement (Gartner, Hank Barnes). It’s about leading a horse to water. Stepping stones. Phases. Conversations. Moving forwards through and to something. I love presenting and I feel like I can always do better, so when I’m given the opportunity for "presentation skills training" I lap it up. Sometimes it’s screwed me up, made me over think myself. But it’s all good. One time I was preparing for a presentation, that I never actually gave because I ended up getting horribly sick and missing the whole event. The guy who did the training laid on a really salient point that interestingly maps to this topic. He said "What do you really think you can get across in an hour?" Great question. Right? Think about that for a second. You can’t educate, much. You can’t deliver all the details of your subject. It might take you ten times that amount of time to prepare the presentation. Aside: arguably if there are 100 people in that room then you owe it to their time investment to invest a hell of a lot of time in the prep, that’s another blog post entirely. The point is you can’t get it all across at once so don’t try. The same goes for "marketing" or "advertising". Give your audience enough to want more, to come back, to take the next step, the "next action" where they consume your content and embark on a journey of relevance with you. The future of marketing is about storytelling via content that creates progressive engagement, not one of billboards.